Sleeve, 14 oz. 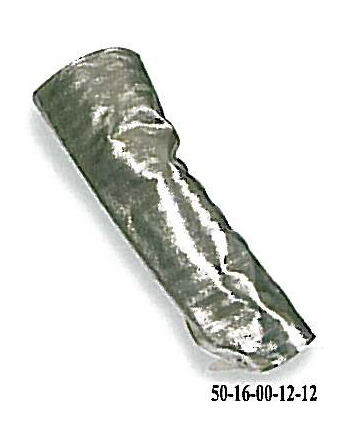 Aluminized Carbon Kevlar, Color Silver, Different Lengths available (see below). Aluminized sleeves offer excellent protection from radiant heat and molten metal splash for the arm. This anti-static cloth is a combination of a.) flame and high heat resistant, non-melting, stabilized semi-carbon fibers and b.) aramid fibers. Offers excellent high temperature insulation and resistance to molten steel (2,850°F) splash. Also superior degree of abrasion resistance needed for tough working environments. It is cool and lightweight to wear, has high seam strength, excellent workability and can't burn or melt. This durable fabric has a temperature protection range of 600°-800°F.